From red rocks to bright blue rivers, the Southwest United States has so much to see! 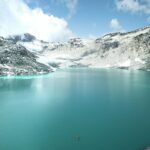 In my few trips to this area, I was amazed by the most beautiful and Instagrammable spots. Of course, while I was there I took many photos and shared them with you on Instagram, but I wanted to do more to show off this incredible region. 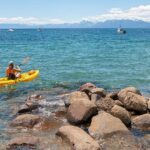 This blog post combines all the places I visited in an easy to follow guide of the Southwest US. 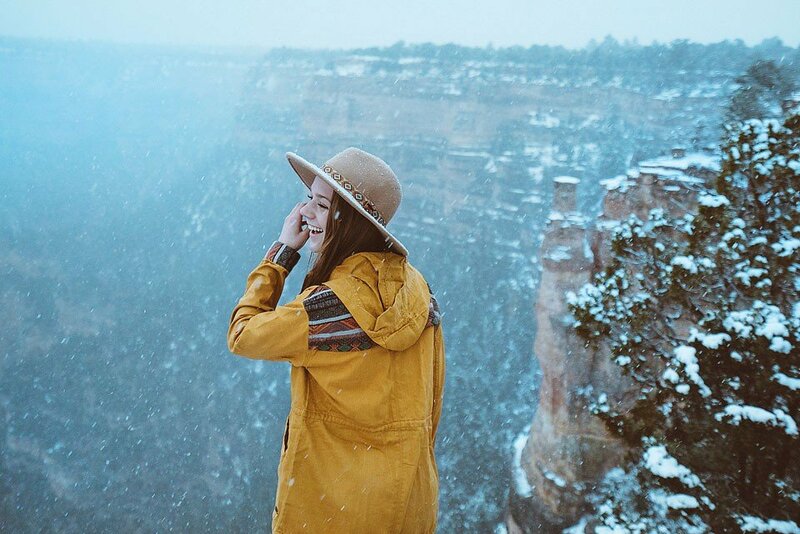 You too can visit, be inspired, and take Instagram worthy shots at these Southwest locations. When I first saw photos of the Mystic Hot Springs, and I knew I had to visit! Luckily, I had a trip planned to Moab, Utah and all I had to do was make a quick pit stop along the way to visit the springs. Once there, I knew the detour was completely worth it. The hot spring was a wonderful place to relax and hang out with my friends. One of the best parts was the surrounding red rocks, which makes a fantastic photo opportunity. Upon reaching Moab, my first destination was Delicate Arch. This site was beyond magical, and by far one of my favorite smaller hikes in Moab. The hike was a brief 2.9 mile trek, which took about 30 minutes to get to the top. 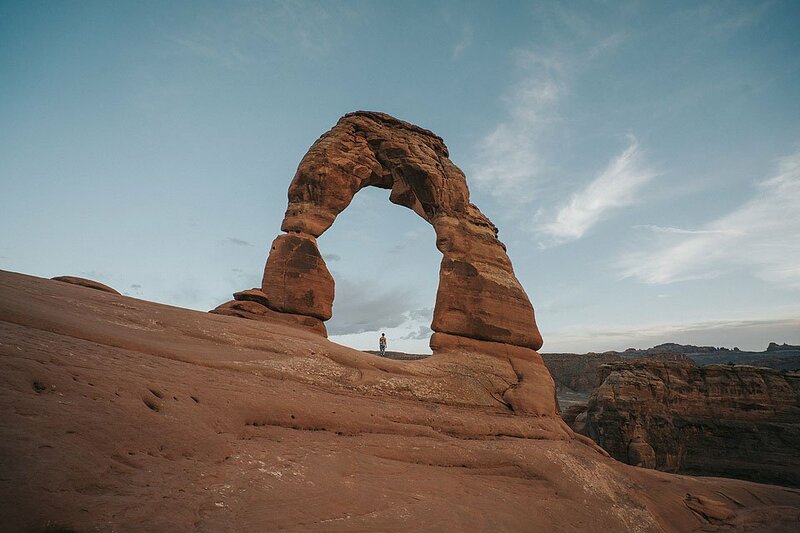 The arch is very popular, so there are a lot of visitors, but it is still an enjoyable hike with wonderful views. 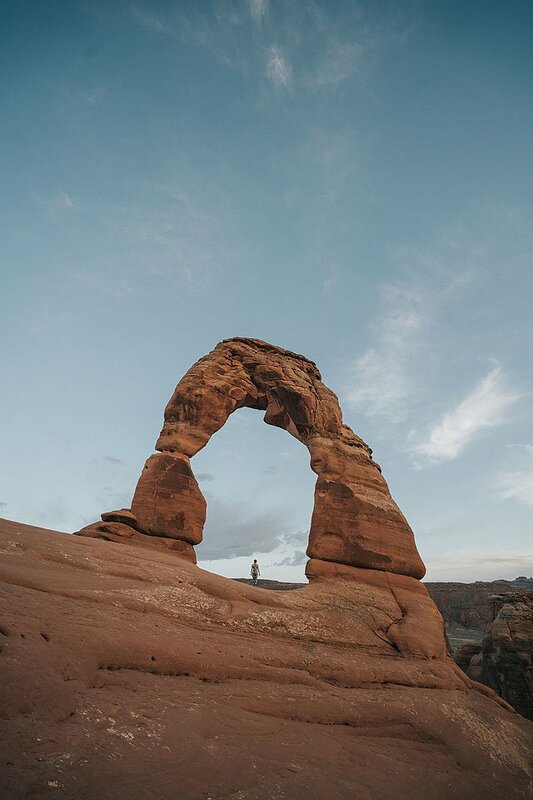 Whatever season or time of day you visit, the Delicate Arch is incredibly photogenic spot. 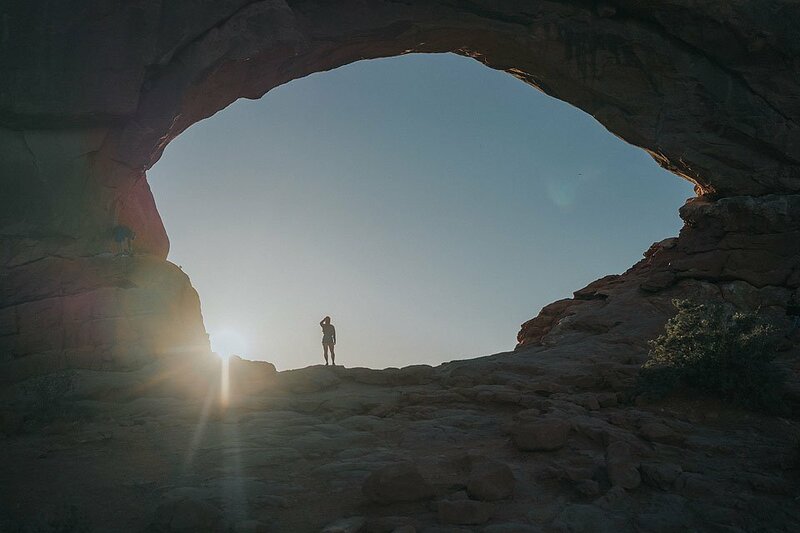 With easy access and breathtaking rock formations, the Window in Arches National Park is a must see spot! Even better, the photo below was taken a few minutes away from the road. Easy parking and a short trail lead you to the featured window. Once there, it is up to your imagination to nab creative and beautifully framed photos. While in Arches National Park, another stop to make is The Hammer Rock. This rock reminded me of Thor’s hammer (I know my Marvel obsession is showing!). The best time to visit is during sunrise because the light is just perfectly haloed around the hammer. 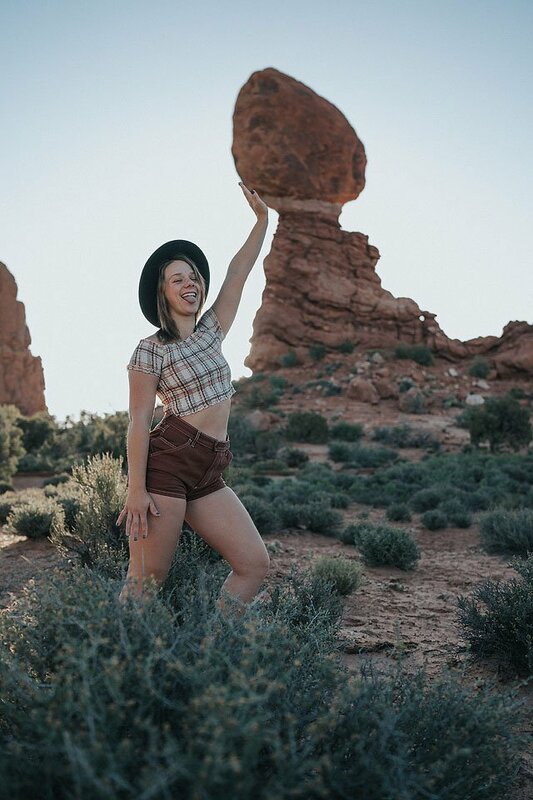 This unique rock formation makes an incredible (and fun) Instagram picture. If you want an amazing star studded photo, the Canyonlands is an ideal place to go. The same spot that is home to the amazing arches (shown before), shows off a different beauty at night. 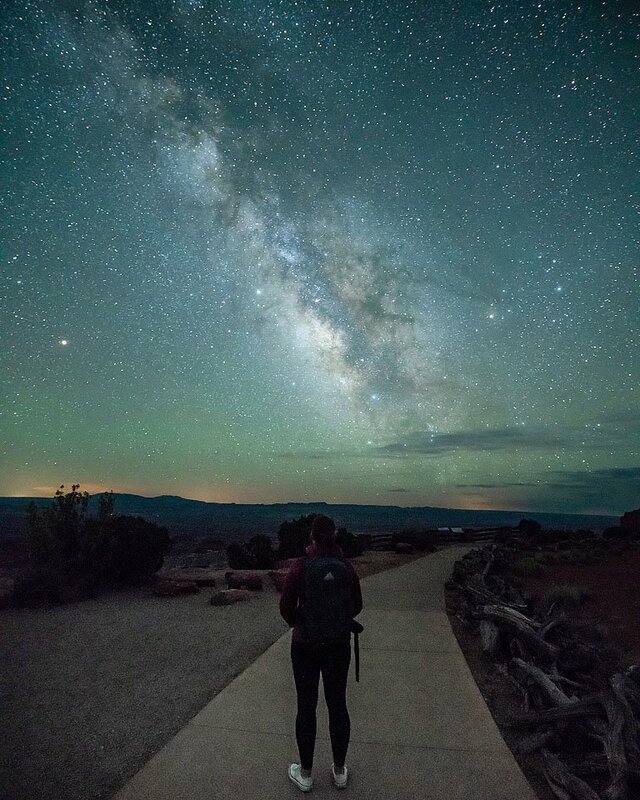 We made sure to stick around the Canyonlands after dark to capture the beauty of the night sky. The area is busy, especially around the arches, but we were still able to take plenty of photos. 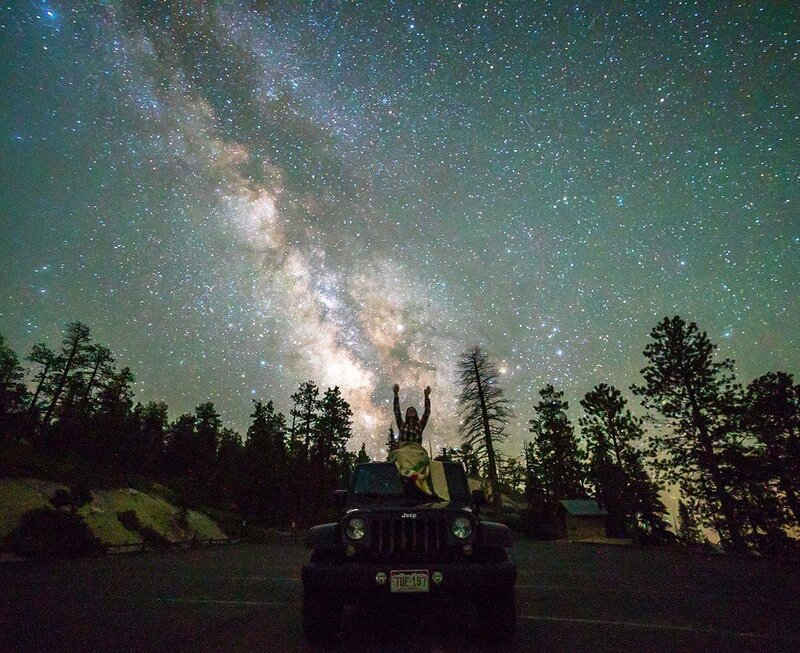 Being far from any major cities made for dark skies and clear views of incredible stars and constellations. Monument Valley was one of my overall favorite places to see! We took unbelievable sunrise and sunset images. We also took beautiful star pictures at this location after dark. 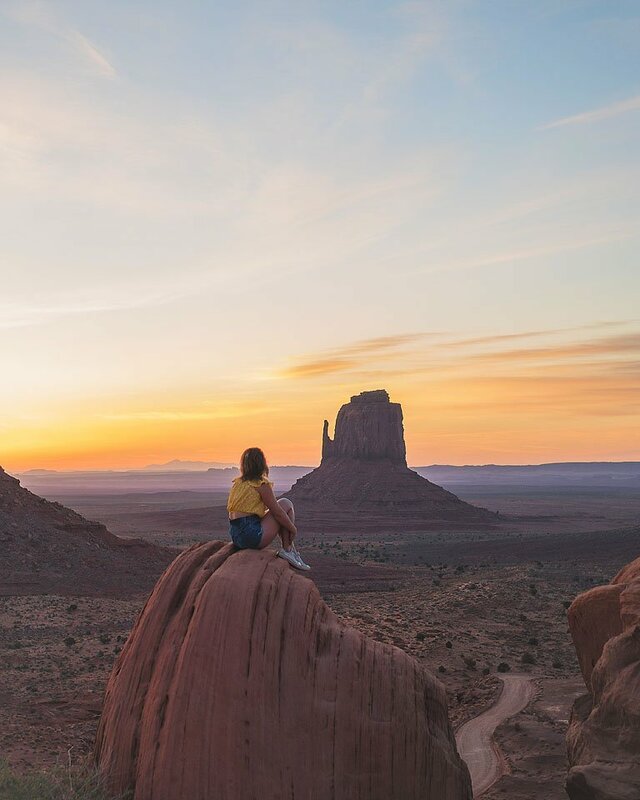 Monument Valley is a photogenic location all day and night, and no matter what, you will get a stunning snap! The photo below is of the viewpoint at sunrise, not far from our hotel. 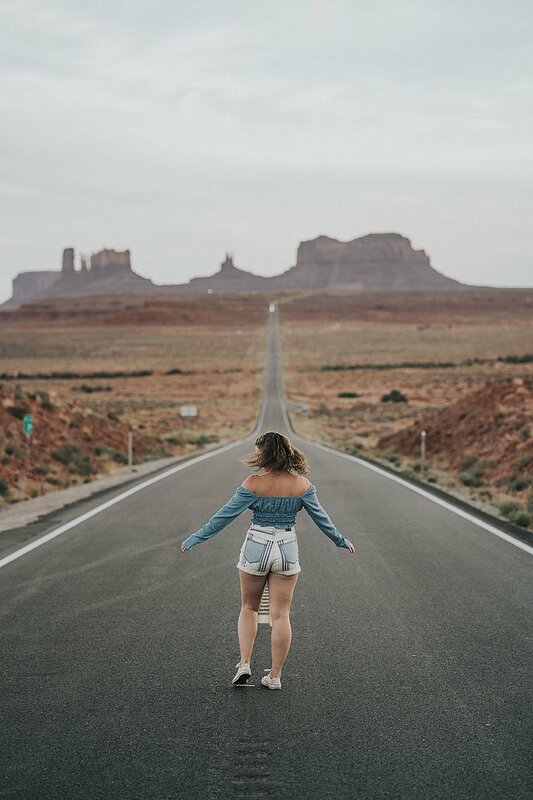 The below photo is of the popular road leading into Monument Valley. You must exit the national park to get this shot. It is hard to miss, as you will likely spot other cars parked on the side of the road. Who knew that a road could be so photogenic! 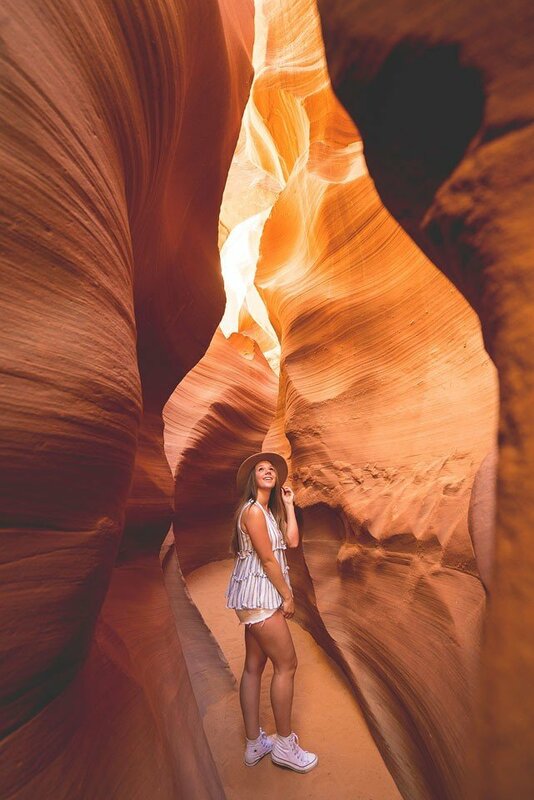 Antelope Canyon is in Arizona, near the Utah border line. On sunny days, light rays shine through the canyon, leaving you with an amazing photo like the one below. I recommended heading there first thing in the morning as it tends to get pretty busy. 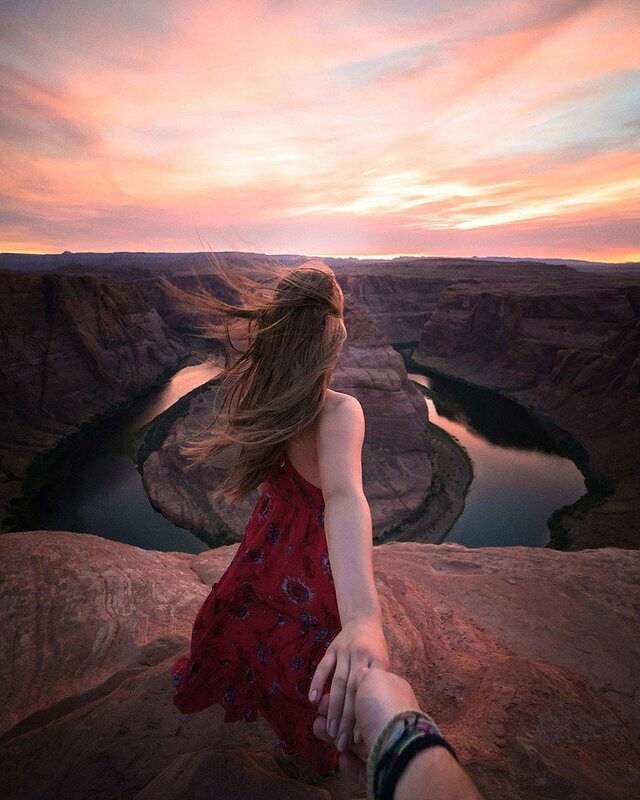 If you are looking for an incredible sunset photo, Horseshoe Bend will deliver! The dreamy shot below is beyond my favorite that Joel and I ever took. Horseshoe Bend is free to visit, but there is a short hike to get to the bend (plan your footwear accordingly). This photo was taken at sunset and there are loads of people there. I suggest getting there a bit early to secure a spot for a stellar shot. 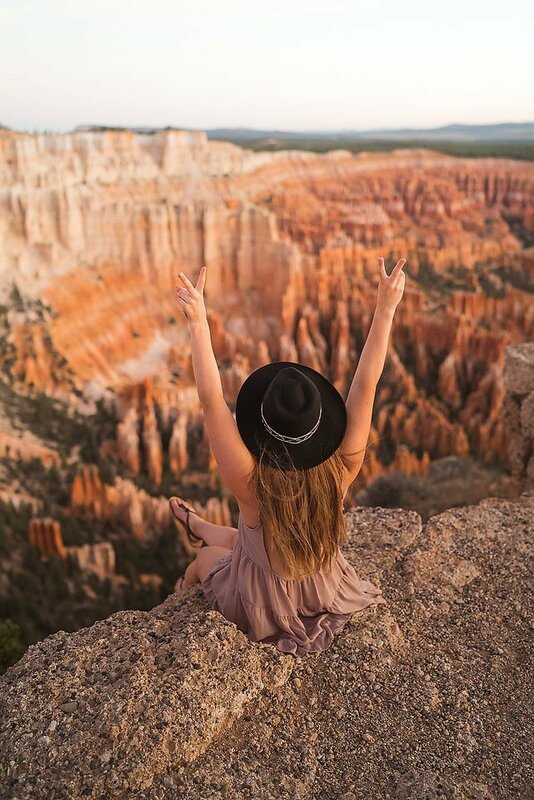 Bryce Canyon is a wonderful place to visit during the day, and even more beautiful to stage star photos at night. Joel and I stayed up all night when this photo was taken, and it is our best Milky Way photo to this day. Bryce Canyon is also stunning at sunrise. This shot was taken at the view point, and the sunrise lighting was just perfect. It is a popular spot, but definitely worth waiting your turn for an amazing photo. 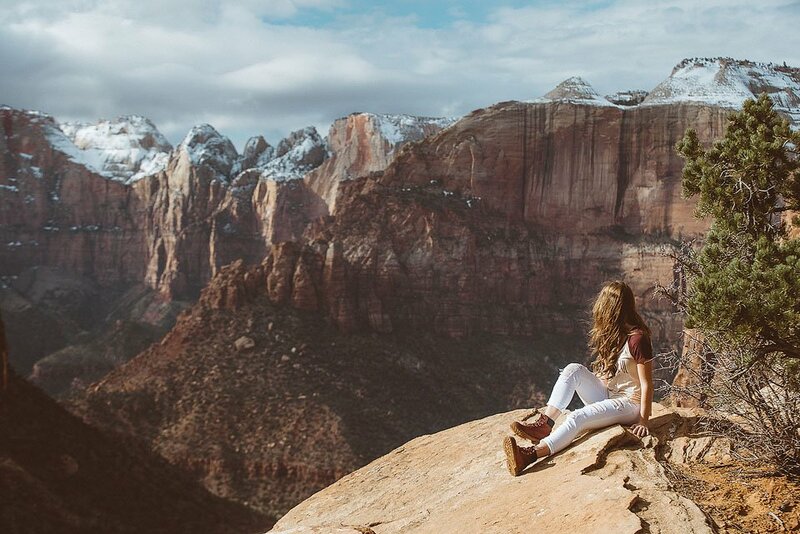 Zion National Park has it all. 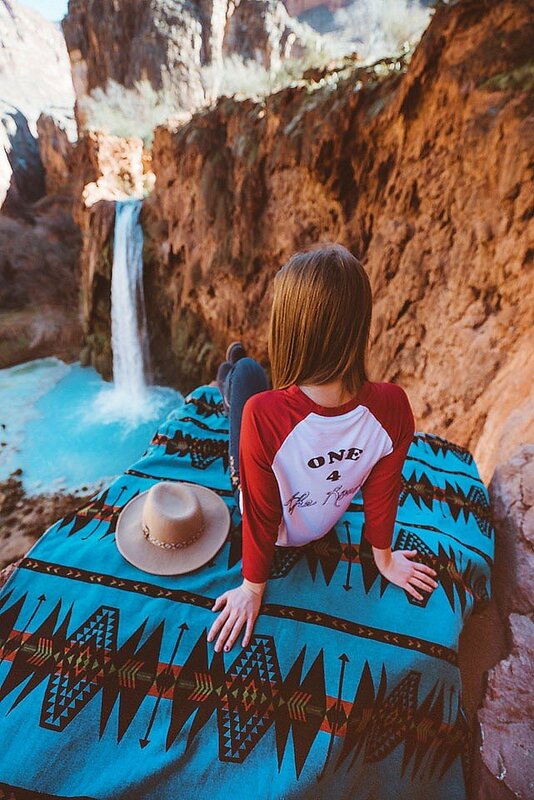 Overwhelming views, waterfalls, adventurous hikes, and so much more. Overall Zion was one of my favorite parks. Sadly, I visited during winter, and the weather was not the best, but the white snow nicely accented the red rocks. Visiting in winter also meant it was off-season so a lot of the trails were closed. I would love to go back and explore more of Zion. Havasu Fall is one of the most popular tourist destinations in the southwest, and seen on social media pages everywhere! This location is one of the hardest to get to, as it is in the bottom of the Grand Canyon, but it is definitely worth the extra work. To get to the falls, you need to book a permit online. 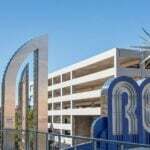 Reserving a permit can be challenge depending on the type of permit you are getting. Make sure to book the appointment well in advance, sometimes even a year in advance is best. I went during off season and I took the helicopter down to the falls, then back out. The helicopter ride is $80 per person. The hike from the helicopter landing pad to the falls is short, nothing like the 8-mile hike without the helicopter ride. I immediately fell in love with this place, and I cannot wait to come back! Next time, I want to check out the hike down the canyon. If you haven’t gotten enough of the red/orange rock, you will love the Valley of Fire! The rock formations are ideal for photos. Wearing colors that complement the rock color will make the photo “pop” even more! In all the Southwest US, this stop at Seven Magic Mountains was probably the cutest. 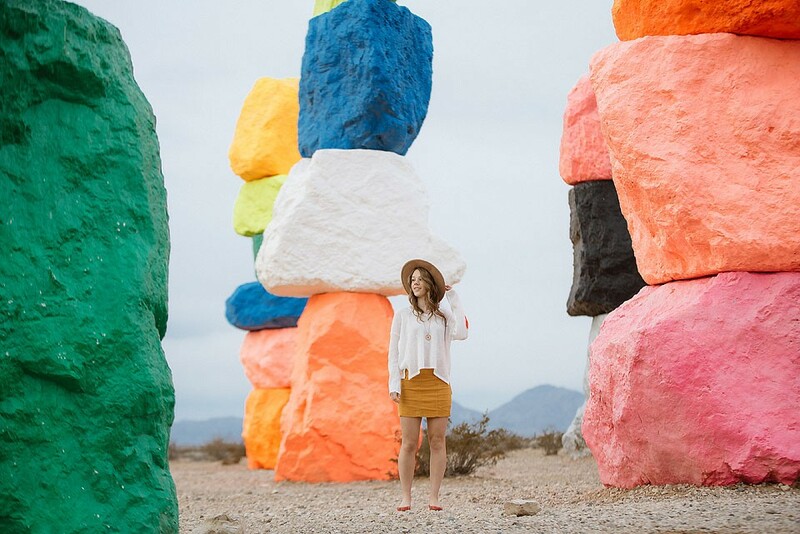 Located right outside of Vegas, Seven Magic Mountain features stacks of colorful rocks. This site is literally in the middle of nowhere, which makes the rocks stand out even more in the photos. I just loved it! Flying over Las Vegas in a doorless helicopter should be on everyone’s bucket-list. It is simply an experience everyone must do. 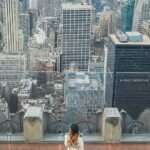 I flew with FlyNYON and I had a wonderful experience. There is nothing like seeing all the Vegas lights from above. 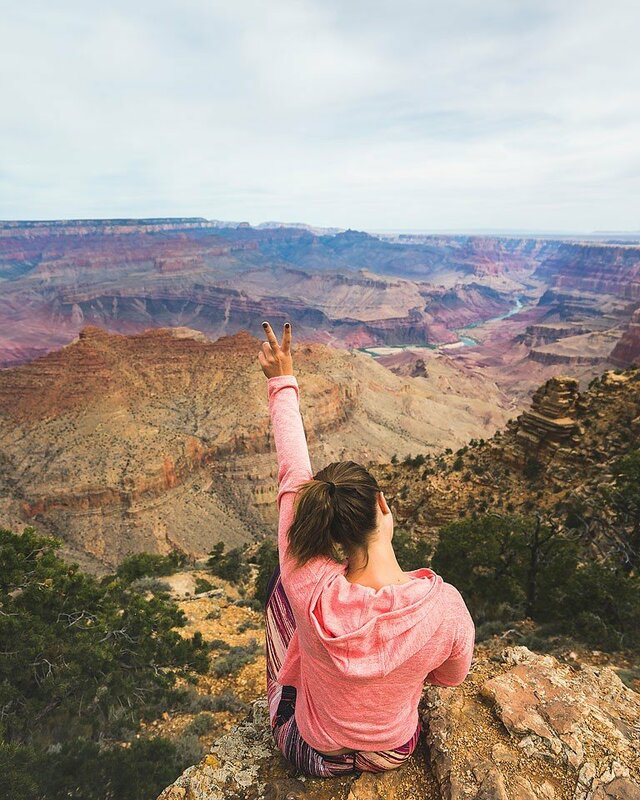 As one of the most visited spots in the world, the Grand Canyon has so much to offer. From the iconic panorama photos, to the changing seasons, and the plethora of wildlife, Grand Canyon has so many reasons to visit with your camera. It is hard to take a photo here that is not Instagram worthy. If you have not visited in the winter, I highly recommend it! The contrast of the white snow on the layered orange and red rock is amazing. This capture is from a recent trip where we made a quick stop at the outer rim of the Grand Canyon. A trip back needs to be planned to explore more of this area. 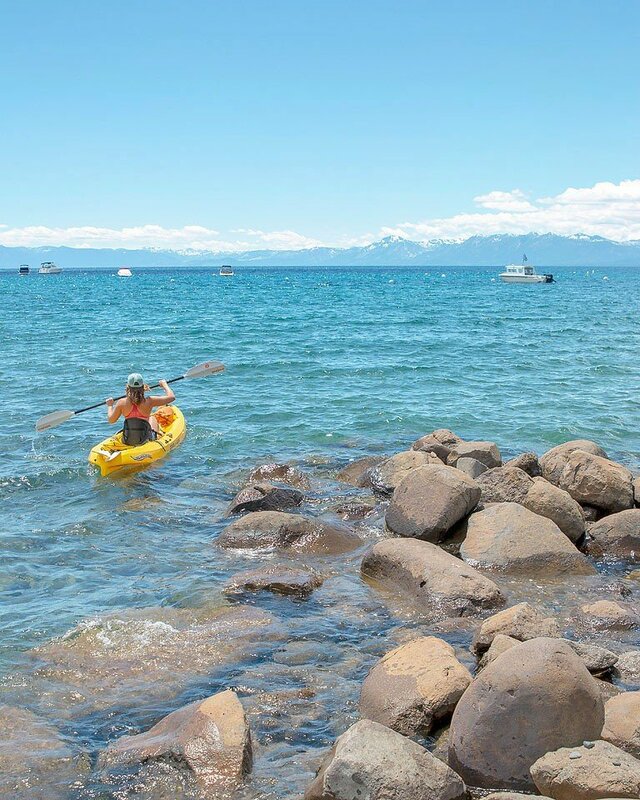 Lake Tahoe is one of the most breathtaking lakes I have ever visited. With the expanding waters and mountains on the horizon, it makes a picturesque spot to explore, and of course, take a beautiful photograph. This location is definitely a ways away from the deserts of Arizona and Utah, resulting in cooler weather. It’s a good idea to pack a jacket just in case it is chilly. Thank you for taking the time to read about my travels through the amazing Southwest US. 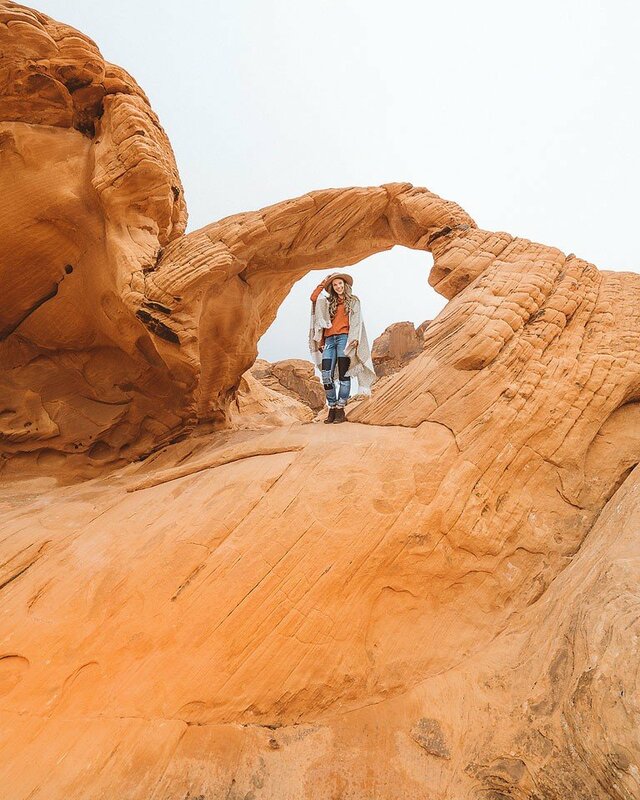 I hope you get the chance to visit these Instagram worthy spots and snap your own incredible photos while you are there. As always, stay inspired and keep exploring!